Fun with physics - Balls race on the unique flex-rails through various obstacle courses. 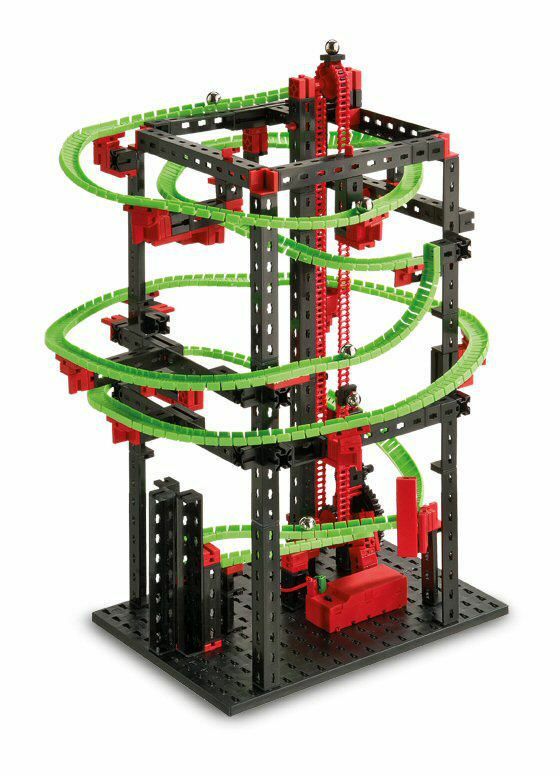 They accelerate, decelerate, cause chain reactions, shoot through the loop and run through obstacles such as teeter-totters and switches. 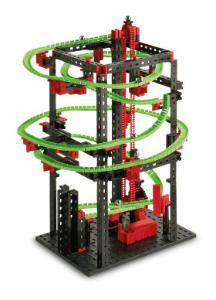 An elevator powered by an XS motor conveys the balls to the top. 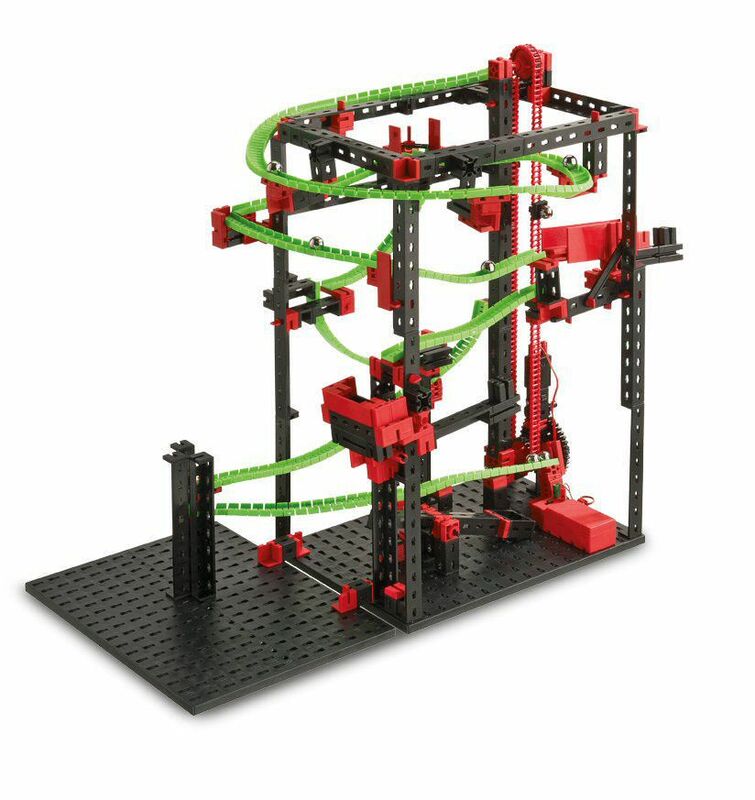 The effects are based on various physical phenomena (acceleration, inertia of mass, centrifugal force, law of conservation of energy, principle of linear momentum, laws of motion). 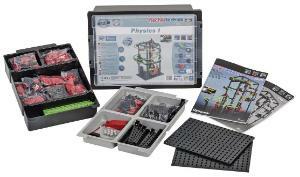 These are explained in the activity booklet and can be demonstrated clearly using various experimental set-ups. Shows how entertaining physics can be! 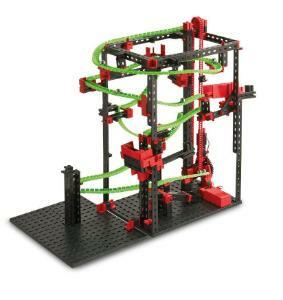 Contains 690 parts for building seven different models. Requires 9V battery (not included).